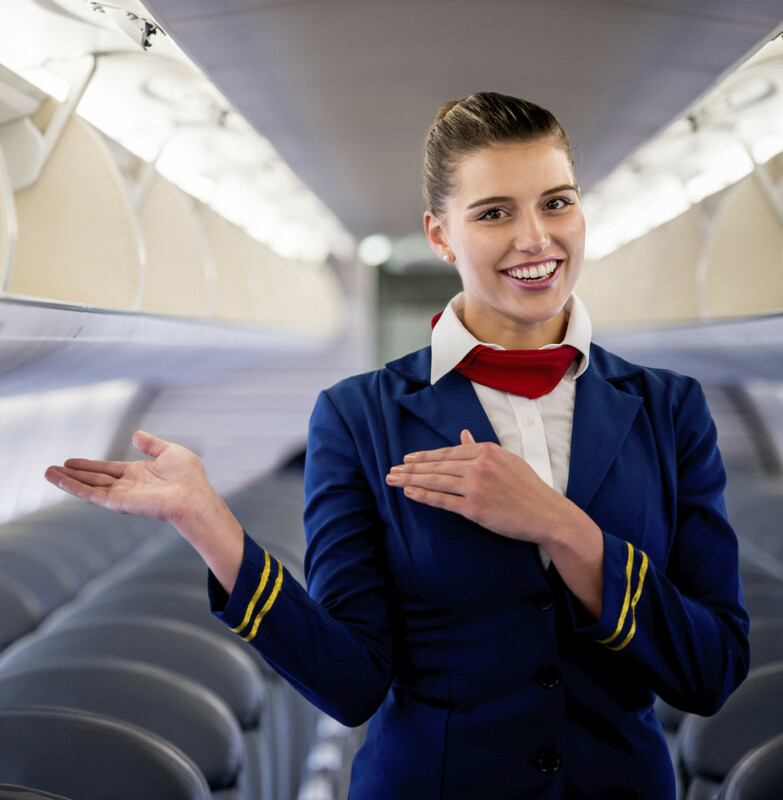 One of the main essential duty tasks of a cabin crew is to provide an exceptional level of customer service to passengers during their trip, while ensuring their comfort and safety, of course with a “happy and helping way” attitude. Each cabin crew member has many responsibilities besides to customer service. As a passenger, you probably never required to consider that they are there to do more than serve you a drink and pretzels! The essential primary part of their job is about having confidence and knowledge level to deal with any emergency or security problem that may arise. A cabin crew must ensure before each take-off that all safety and emergency equipment is in good condition and adequately stowed according to their cabin layout while respecting the type of aircraft. A steward or a cabin crew must show in a friendly way and welcoming attitude at all times with her passengers, and must consistently provide an exemplary standard of customer service and maintain it throughout the flight. 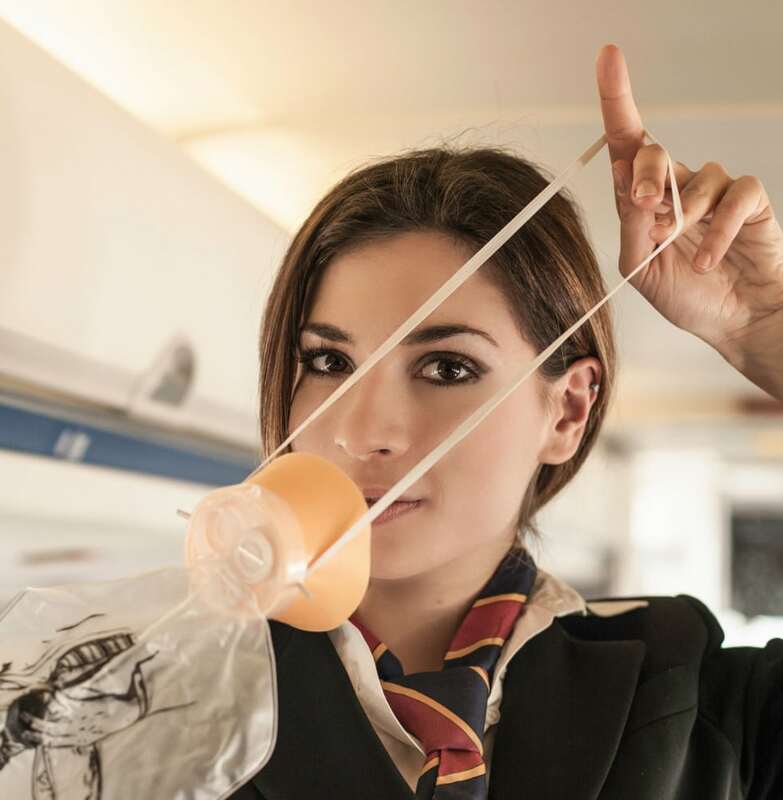 It is essential that cabin crew physically demonstrate to passengers emergency evacuation procedures and the use of specific safety equipment such as lifejackets, seat belts and the use of oxygen masks in case of any decompression. Cabin crew must administer as well first aid to passengers according to a specific training by the airline. The cabin crew must treat everyone as an individual, which includes respect for every customer regardless of their class of cabin. Attend a pre-flight briefing during which cabin crew are assigned to their positions once on board. They will also get informed about flight details, schedule and passengers with special requirements such as special meal requester, wheelchair passengers, VIPs on board, elderly passengers or the number of babies requiring baby seats. Perform pre-flight tasks, including checking safety equipment, ensuring that the aircraft is clean and tidy, checking that all meals are on board (including special dietary requests), as well preflight check of the first aid equipment. Greet passengers on board and direct them to their seats, assisting them with hand luggage. Inform passengers of aircraft safety procedures and ensure that all hand luggage is stowed and unobstructed. Checking all passenger seat belts, check galleys and securing it before takeoff. Make announcements and keep passengers informed of any delays, etc. Always be visible in the cabin to answer passengers’ questions during the flight. Serve meals and refreshments to passengers. Sell ​​tax-free items and inform passengers of any allowance restrictions in effect at their destination. Reassure passengers and ensure they are following safety procedures correctly in emergency situations. Give first aid to passengers if necessary, demonstrating a calm approach at all times. Ensure that passengers disembark safely at the end of a flight and check that there is no luggage left in the overhead compartments, toilets and galley areas. Fill out documents such as stock control, recording flaws or problems during the flight, liaison with ground staff. Teamwork and effective communication skills are two such essential for a harmonious team, as well to achieve the passenger satisfaction who would travel with your airline repeatedly. So, even if you are tired or have a bad day, you can not let it appear! Depending on the airline you work for, you can work in first class, business or economy class, or the aircraft can be configured in one class high-density configuration, eg. If you work for a charter airline company like Ryanair, it will probably be an economy class. However, if you work for British Airways for example, there may be variants of 2, 3 or 4 different cabins, depending on the aircraft and the type of destination, eg. First, Club, Traveler or Traveler Plus. 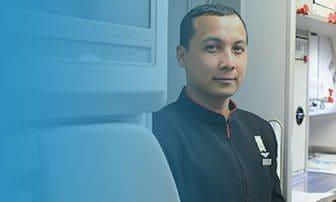 During your training with an airline, you will learn the differences between each cabin so you will be well prepared to carry on with such duties. The most important thing to remember is in whatever class of cabin you are working; all passengers should be treated equally. Always welcome the passengers on board with sincerity and warmth, just the same manner you get treated. Passengers must feel valued for choosing your airline, as this is tantamount to repeating the custom, something you could mention on your evaluation day! Exceptional customer service is essential to the reputation and survival of an airline. How many times have you heard people say “we had a wonderful flight because the cabin staff went the extra mile and gave us an extra meal because we missed lunch”. Or “the crew managed to sit together because we had been separated at check-in”. It is not just about serving tea and coffee with a smile, but adding a personal touch, and at the end of the day, the airline asks you to be “you”.